Home Page / News / Gift of Life-Arizona reaches GOAL of 300 Surgeries…History is made! 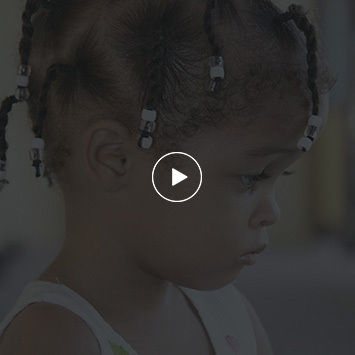 Gift of Life-Arizona reaches GOAL of 300 Surgeries…History is made! GOL-AZ achieved its GOAL of 300 heart surgeries on needy children by end of 2013 and in fact achieved 302. The 300th surgery was performed in Tucson at the University of Arizona Medical Center by Dr. Michael Teodori on October 8th with Rotary Home Hosting f or mother and child provided by Tucson Rotary Club President, Dave Gallaher and his wif e, Susan. The patient was Katia Rodriguez, a 14 year old girl from Sedona, AZ who was diagnosed with a large hole in her heart that was starting to cause some serious issues as she became older and her body was demanding more from her heart. If left much longer, further damage and complications most likely would occur. Katia is the 3rd child, from a family of four, being raised by a single mother who works doing house cleaning/maid services. Her dream, like other teenagers, includes success in school, as an 8th grader, going on to high school, and then hopefully on to college. She is doing well in her studies and especially likes social studies. She tried to be very active and loves playing basketball, which she had limited play because of the demands placed on her heart. As this article is being written, Katia’s life has already begun to change for the better, as she was just released by her doctor to start playing basketball, and to become involved in other school activities. So, how did all this get started as a project of the Rotary Clubs of Arizona Districts 5490, 5500 and 5510? The answer is in meeting PDG John Van Houten of the Rotary Club of Flagstaff , who has served as a Rotarian in all three districts. 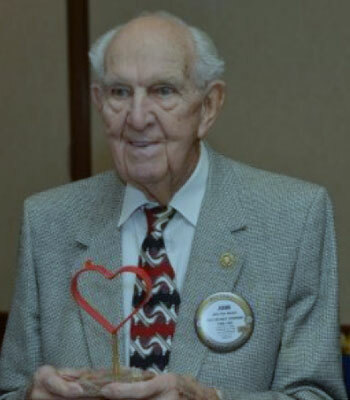 PDG John joined the Yuma Rotary Club, D5500 in 1954 and became Club President in 1958-59. In the early 60’s, his business took him from Yuma to the Phoenix area where he helped charter the Rotary Club of Phoenix Mid-Town in D5490. As his Rotary experience and leadership developed, John was elected to be a District Governor in 1984-85 of what now is D5490. As District Governor Elect under then District Governor, Jack McFalls, John was asked to look into the New York Rotary Gift of Life project and see if a like humanitarian project could be implemented by the Arizona Rotary Districts. Along with the assistance of some Arizona Rotarians and the generous Phoenix pediatric medical community, John finalized the GOL-AZ project as a 501 (c) (3) non-prof it in April, 1985 during his year as D5490 Governor. A few years later, John then retired to Flagstaff . On January 21, 2014, some 29 years later, a celebration, was put in place, for the opportunity for Katia and John to meet and celebrate together this milestone along with Rotarians, GOL-AZ Board Members, family and guests. Sponsored by the Flagstaff Rotary Club, and its President Richard Lozano, it was a wonderf ul event, noting the accomplishment that 302 needy children with congenital heart defects f rom 24 countries, of which 29 are from Arizona, now have an opportunity for a more normal and healthy life.